This hand colored map is a steel plate engraving, dating to 1815 by the important English mapmaker John Thomson. 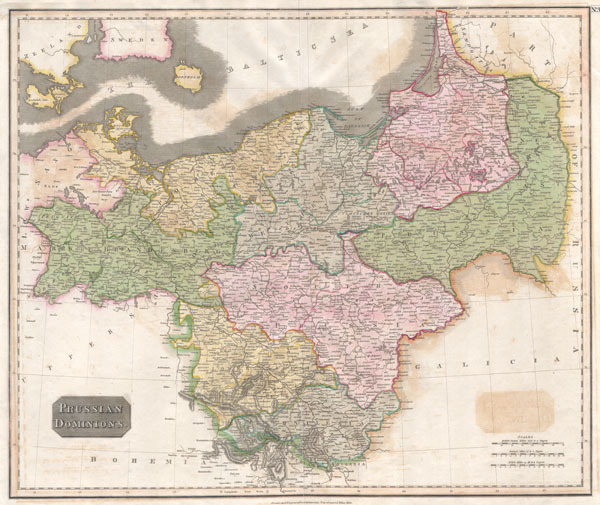 It is a representation of the Prussia, Germany, including the districts of Pomerania, Brandemburg, Prussia and Silesia. Rumsey 1007.32. Phillips 731. Newberry Library: Ayer +135 T4 1817.